PuraPharm Liver Formula is formulated to strengthen the vital functions of the liver and aid in the detoxification process. 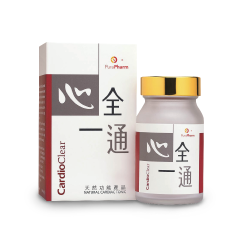 It contains extracts of Coriolus and Fructus Schisandrae Chinensis. Scientifically proven1, 2, 3, its ingredients can activate anti-oxidative enzymes in the liver, protecting the liver from damages caused by free radicals. This can maintain liver enzymes at a stabilized level, while helping to promote metabolism in liver cells. PuraPharm Liver Formula is an ideal product for people with smoking and drinking habits, physical strain from work, imbalanced diets as well as those concerning liver health. Kim HS, Kacew S, Leew BM. (1999), In vitro chemopreventive effects of plant polysaccharides (Aloe barbadensis miller, Lentinus edodes, Ganoderma lucidum and Coriolus versicolor)”, Carcinogenesis Aug; 20(8): 1637-40. The liver is one of the main organs for metabolism in the body, including detoxification, metabolism, food transformation and synthesis of protein. During the metabolism process, harmful free radicals are generated in the liver. They are usually eliminated by endogenous antioxidants to prevent liver damage. However, if liver functions are weakened or insufficient antioxidants are produced, free radicals accumulate, which causes damages to the liver and increase the plasma level of liver enzymes such as ALT (alanine aminotransferase). PuraPharm Liver Formula is an ideal product for people with smoking and drinking habits, physical strain from work, imbalanced diets as well as those who concern about liver health. 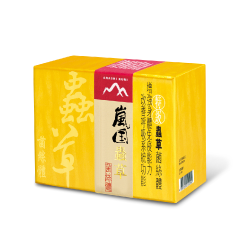 Lingzhi has been used in Traditional Chinese Medicine for centuries to slow down the aging process and tonify the lungs and the liver. According to Shen Nong’s Classic of Materia Medica, Lingzhi is listed with unique therapeutic benefits to different parts of body. This discourse is respected as classics and adopted by subsequent medical professionals. Integrating the theories of traditional medicine and the findings from recent studies, PuraPharm Liver Formula is formulated through scientific researches by using Corioulus and related Chinese herbs. The proprietary formulation unleashes the curative power of Lingzhi to vitalize the targeted body functions. PuraPharm Liver Formula is made of specific Chinese herbs and natural wild Lingzhi which are especially effective in strengthening the vital functions of the liver. 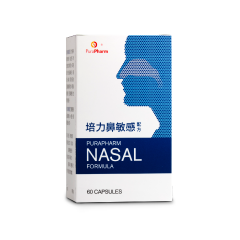 PuraPharm Liver Formula is manufactured by a Good Manufacturing Practice (GMP) certified factory in Hong Kong. Every step in the production process is strictly monitored. Every batch of PuraPharm Liver Formula is tested against its safety by the world-renowned independent testing laboratory – SGS (H.K.) Ltd. and has obtained safety reports on heavy metals, toxic elements, pesticide residues and microbial limit tests. Its safety and reliability are therefore guaranteed.